Acclaimed Australian dancer Daryl Brandwood doesn’t consider himself a choreographer and yet he is about to finish making his second work for Momentum Dance, Perth’s ground-breaking ensemble for dancers over 45. He told Nina Levy all about the chain of events that led him to make this unplanned move. Dancers’ careers are notoriously short-lived. The physical demands that dance places on the body means that many retire in their 30s or earlier. And then there’s Daryl Brandwood, who began his career at West Australian Ballet (WAB) in 1990 and 22 years later won the Australian Dance Award for Outstanding Performance by a Male Dancer, for his independent work HELIX (as well as various other awards and accolades in between). As anyone who saw his solo performance in that work will attest, it was a superhuman feat, testament to both his physical and artistic virtuosity. 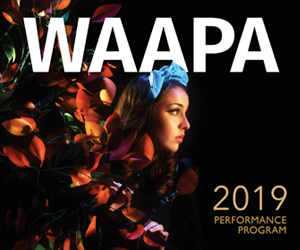 Perth born and bred, Brandwood trained at the Western Australian Academy of Performing Arts before joining WAB. 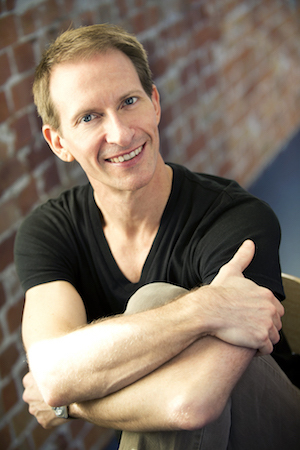 He went on to perform with The Australian Ballet and BalletMet (US), later returning to WAB, and then joining Expressions Dance Company from 2012 to 2016. Lithe and lean, he combines athleticism with absolute elegance. He is the kind of dancer who inspires in the viewer an insatiable greed for more. Selfishly, when I heard he was heading to Brisbane to join EDC, I was gutted. 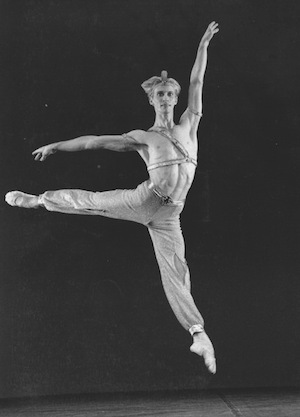 Daryl Brandwood at the Helsinki International Ballet Competition in 1993, where he won a silver medal. Momentum dancers rehearsing with Daryl Brandwood. Photo: Damian Doyle. Brandwood’s work for Momentum’s “Unbreakable” season is called Journeying, and will be performed alongside another new work, Preludium, by dancer and choreographer Richard Cilli. While Brandwood may not perceive himself as a choreographer, listening to him talk about making Journeying he does sound remarkably like one. “I thought about this group of mature dancers,” he says. “I based the work on little episodes of their lives – one section around childhood memories, one section around adolescent memories, a section on losing someone… a mother, a father figure in your life. Another section is about a passionate relationship in your life, something you wish you could go back to, something you dream about. I also thought about the way birds migrate over huge distances and they all go together… I saw that as a metaphor for us, flying together on a journey. I’m sure I’m not the only Brandwood fan who is thrilled by these words. “Unbreakable” plays Redmond Theatre, Prendiville College, Ocean Reef, July 28 and 29. Read Nina Levy’s article “Dancing at any age”, which was written ahead of Momentum Dance’s debut season, here. 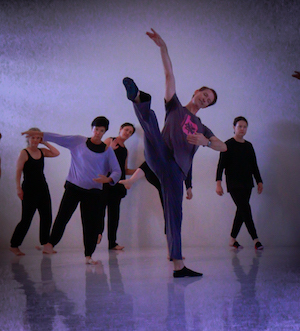 Pictured top: Daryl Brandwood rehearsing Momentum dancers. Photo: Damian Doyle.